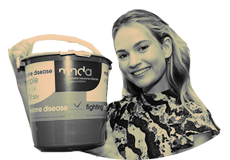 THE TELEGRAPH – hen Lily James was a schoolgirl, years before she turned into Cinderella – and prior to causing trouble at Downton Abbey – she wore an outfit so vile it near enough put her off trying to look glamorous for life. We’re sitting outside James’s local café on a street corner in north London. She lives just down the road, and today looks decidedly as if the pain of patent-pink-leather-dress-gate might still be raw: chocolate-brown hair bunched in a messy half-topknot, charcoal denim dungarees, a stripy T-shirt and hi-top Converse trainers. Not a wisp of fuchsia in sight. Full interview of Lily on “Lorraine”. Enjoy! During an interview on Wednesday’s Lorraine (ITV), Lily talked about a potential ‘Downton Abbey’ movie and she revealed she “hopes” to be involved in the film. Sadly, we don’t have the full interview but here’s a short video. VOGUE – The short, which has been released this morning, is entitled The Tale of Thomas Burberry and comes in the form of a three-minute trailer, written by Academy Award-nominated Matt Charman and directed by Academy Award-winning Asif Kapadia. Gleeson plays protagonist Burberry, with Miller and James taking on the roles of mother of Burberry’s children and pilot Betty Dawson respectively – both fictionalised characters. West plays Polar explorer and patron of Burberry, Ernest Shackleton, whose expedition to the Antarctic in 1914 forms the central plotline.